1797 Depuy Canal House Our records show that this inn is closed. Paymaster's House Our records show that this inn is closed. 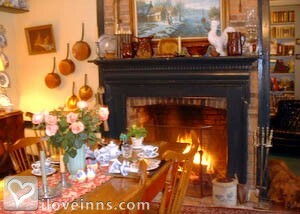 High Falls bed and breakfast travel guide for romantic, historic and adventure b&b's. Browse through the iLoveInns.com database of High Falls, New York bed and breakfasts and country inns to find detailed listings that include room rates, special deals and area activities. You can click on the 'check rates and availability' button to contact the innkeeper. High Falls is a village close to upstate New York's most interesting locations. The natural wonders and conservation areas include Mohonk Preserve and Lake Minnewaska State Park. In the winter, the area is a favorite haunt of cross-country skiers. To learn more about the history of High Falls and the state as well, visit Huguenot Street and its historic stone houses as well as the Delaware and Hudson Canal Museum. Whether shopping for antiques or for souvenirs, visitors will enjoy Woodbury Commons, Sunday Flea Market, Cat House Antiques, and Water Street Market. High Falls has a number of interesting restaurants such as Eggs Nest, Le Canard Enchaine, Northern Spy, Momiji-Japanese Sushi Restaurant, and Beso Gourmet Restaurant. Some High Falls bed and breakfast inns also have their own restaurants. By Whispering Pines B&B.